A responsible organization gives back to the community. Not just monetarily, but in time. 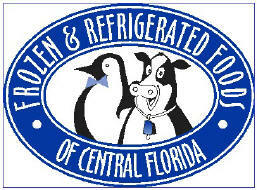 Your Frozen & Refrigerated Foods of Central Florida has proudly sponsored the following charities. Just click on any link below to find out more about this charity and how we support them. By the way...thank you for your support. Because, if you didn't support us, we couldn't support them! Make-A-Wish We proudly have been holding an annual Make-A-Wish charity event for 20 years! Paint Your Heart Out! For the past 16 years we have supported painting houses for elderly people living below the poverty level. Metropolitan Ministries Metropolitan Ministries is an organization that has fed homeless and others who are going through a difficult time. We visit their facility and sponsor a day where we feed those in need. Wimauma Elementary School Wimauma, FL is a town with a high number of migrant workers who pick our vegetables and fruit. This elementary school has many of the children of those workers. Most come from a family with many needs. We visit them in December along with Santa Claus and others to celebrate the giving season. We supply them with a backpack full of goodies for their school and home.